So you just received your weekly floral subscription, or maybe you stopped to see us and picked up a bouquet of fresh cut flowers. Whichever the case, now you want to keep your flowers looking fresh and beautiful for as long as possible. 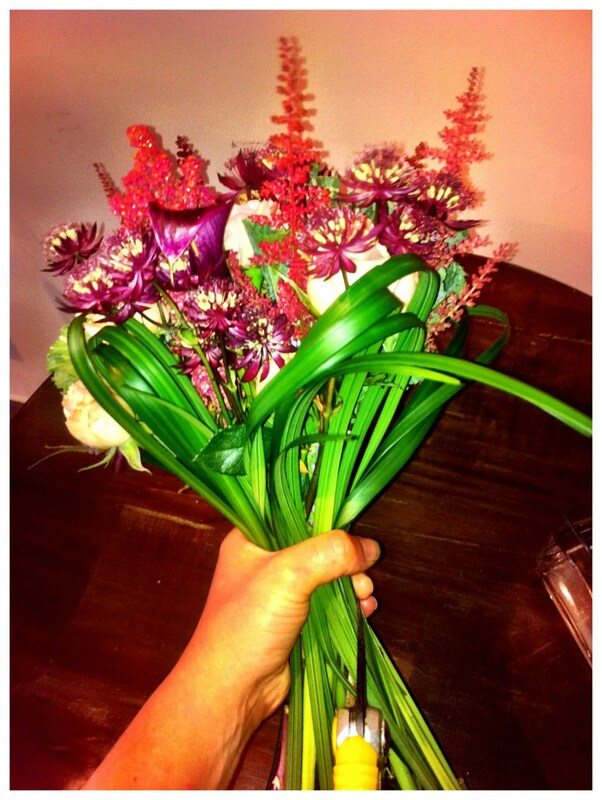 Fresh cut flowers should usually last about seven to ten days. Your flowers should always go in a clean vase. Most flowers are happy with lukewarm water, except for some flowers, such as bulb flowers like tulips and hyacinth which are happier in cold water, hydrangeas like hot water. Once you have your vase ready, strip all stems of any foliage that will be submerged in the water in your vase. Stripping greenery that is below the water line will prevent bacterial growth that will make your water gross and slimy. If you like to place a large leaf (usually aspidistra) within the vase to cover the stems, then you will need to change your water everyday. Take the leaf out and clean it with soap and water. When cutting your stems, it is important to use sharp, appropriate utensils such as a knife or clippers. Do not use household scissors as they crush the end of the stem and prevent water uptake. Make sure to cut your stems on a 45 degree angle to increase the surface area of the cut stem and allow the stem to drink as much water as possible. Some people suggest cutting your stems under running water to prevent air bubbles from entering the stem after you have cut it. 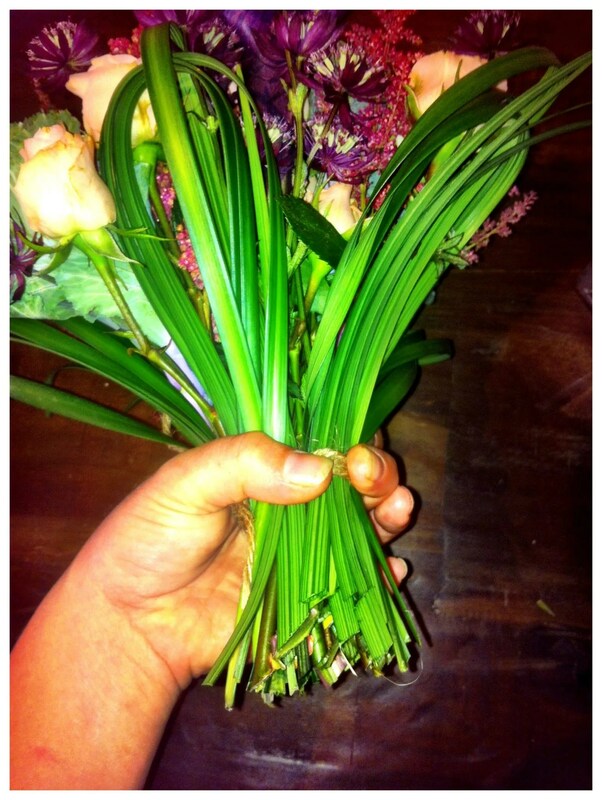 However, putting the stem in your vase of water just after cutting it is usually good. Even having your stems out of water for a couple of minute, the ends will start to close and they will need to be re-cut. 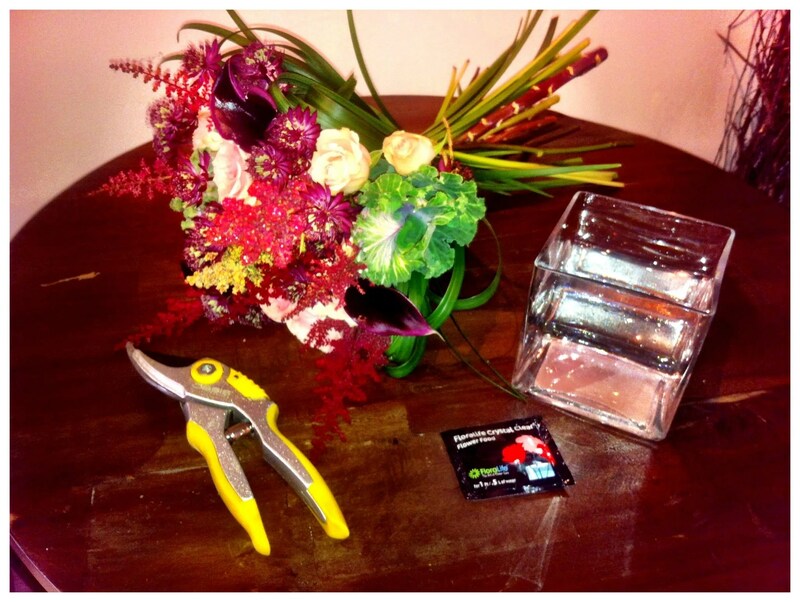 Make sure to recut the stems of your flowers and change the water in the vase every 2 to 3 days. This prevents bacterial growth and accumulation. “Flower food” is usually a powder or liquid solution that also reduces bacterial growth in the water. Feel free to use it especially if you tend to forget to change the water in your vase! Try not to keep your flowers in direct heat or under the airflow of an air conditioner as this will shorten the life of your flowers. 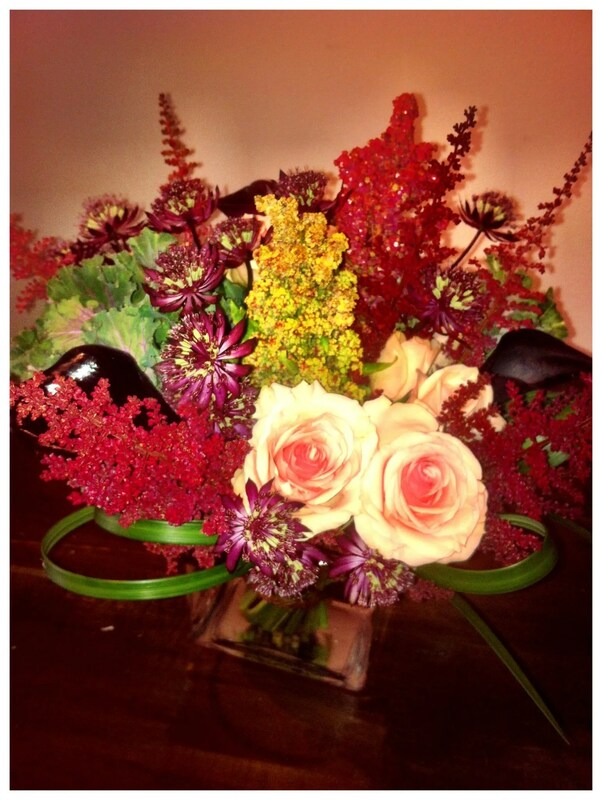 Last but not least, enjoy your beautiful flowers!